With temperatures in the single digits, Frank and I witnessed a bunch of half naked people dressed in tights, wearing no shoes at Fergus High School. This shocking spectacle was the 7th annual Nutcracker. Staged by our local dance troupe - The Dance Syndicate. Janet Luciano has been a dancer all of her life. After growing up in Lewistown, she left our tiny hamlet as quickly as her twinkle toes could take her. I don't know Janet personally. But rumor has it that she danced on Broadway (Manhattan not Lewistown). And at some point married a gentleman with a rather famous Italian moniker. Beyond that I'm told she did some amazing things while away from home. Fortunately, 15 years ago she decided to return to Lewistown. Since then she has been teaching local kids how to DANCE! is truly a local treasure. While probably not as glamorous as her fabled past, Janet focuses her passion on exposing local children to the beauty, freedom, and joy of this rather physical (and oft unappreciated) art. Saturday evening almost 100 kids performed on the high school stage. While slightly more than a dance recital, this event never fails to charm it's audience. Viewing munchkin missteps is well worth the $17 admission. But... in my opinion the inspiration was priceless. 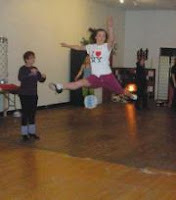 took the art of dance leaps and bounds beyond our expectations. 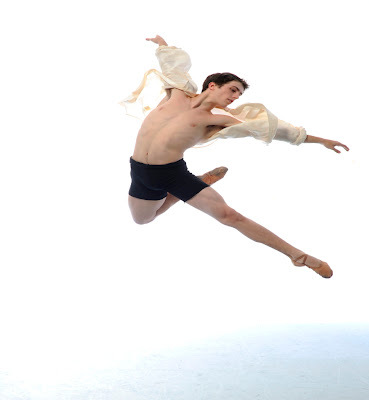 is a renowned ballet dancer currently with the Cincinatti Ballet. Prior to that he danced with companies in Orlando, Seattle, Chicago, and Santiago, Chile. Patric is a local boy (and Janet's son). 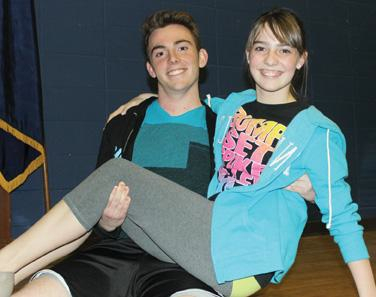 He started his training at The Dance Syndicate in Lewistown. Proof that artistic talent can be nurtured and developed anywhere. 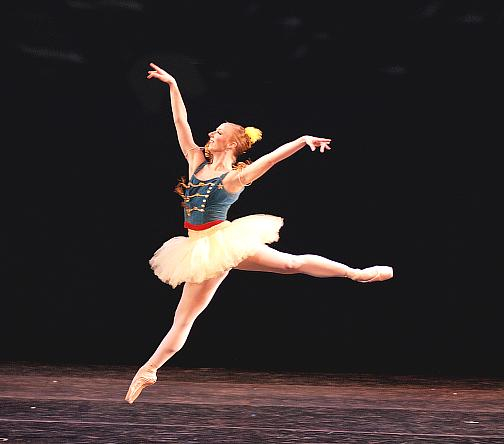 Giacobbe Academy, Hartford Ballet, Royal Danish Ballet, and Pacific Northwest Ballet. Hopefully our warm reception made up for the frigid night. 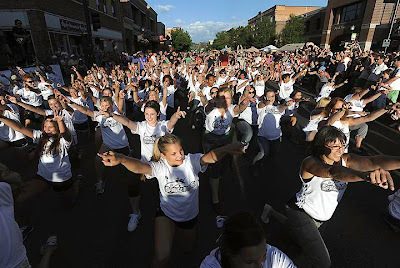 is a hip hop dancer from Bozeman. He teaches this modern art from his Breaking Pointe Studio. Known to push the boundaries, he staged a "flash mob" in downtown Bozeman in 2011.
is not only beautiful - she is a graceful and accomplished dancer. Currently based in Bozeman, Hilary is another of Janet's talented offspring. Saturday evening she proved to be a formidable partner to Eric's spins, jumps, and stick swinging. Further proof that home grown talent can amaze! Frankly Montana can be a tough place to live. Ranch life is filled with brief moments of beautiful vistas and long hours of brutally hard work. Making ends meet in a town with a very limited economy is just as challenging. leap into the air and seem to float across the stage. to be something they never knew they could ever be. All it takes is a dream. Plus the passion and commitment to make it happen!